​​​​ BROWNSVILLE, McALLEN – The unemployment rates for the Valley’s two metropolitan statistical areas showed sharp rises for June 2018, but remain under the rates from a year ago. 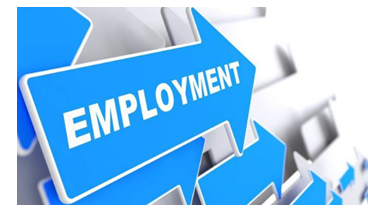 The Texas Workforce Commission report shows the Brownsville-Harlingen MSA with a 6.9 percent jobless rate, up from 6.0 percent for May 2018; in June 2017, it was 7.5 percent. The McAllen-Edinburg-Mission MSA​ posted a June 2018 jobless rate of 7.2 percent, up from 6.2 percent in May; the MSA’s jobless rate was 7.9 percent in June 2017. Texas posted its 24th straight month of employment growth, adding 27,200 seasonally adjusted nonfarm jobs. For the year, Texas has added 359,500 jobs for an annual employment growth rate of 2.9 percent.